What is TikTok? Congratulations, you are old. What is TikTok? If you've asked that question recently, congratulations, you are old. (Also, this is what TikTok is.) 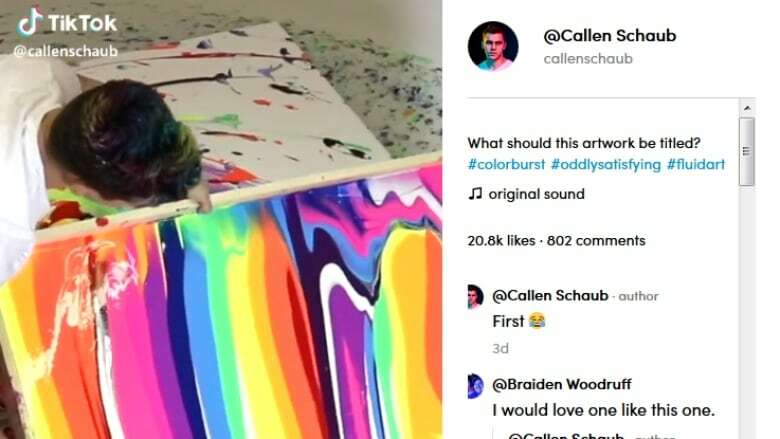 The app's been on my mind this week because Callen Schaub, a guy you might remember from this CBC Arts video ("No paintbrush? No problem!") seems to be killing it on TikTok (like he already is on Instagram). Because youth: I could waste the rest of mine browsing these slideshows and articles about youth culture through the ages (the feature's also via Artsy). There's a seemingly massive art/technology exhibition coming to Edmonton later this month that sounds super intriguing and not just because it involves a bunch of folks we've covered in the recent past (Marilène Oliver! Brad Necyk! aAron Munson!). It's called Dyscorpia and it launches April 23. Peek at the programming here. I know this is going to sound like a shameless corporate plug, but I have been waiting to (legally!) binge this Hulu series since I read this interview with the creators, Maya Erskine and Anna Konkle. PEN15 is now streaming on CBC Gem: a Y2K-era coming-of-age comedy about seventh grade girls (as played by 30-somethings) that has enormous intelligence and heart for a show named after a dink joke. Watch the AIM episode, if nothing else. Also, here's a link to The Rise of Skywalker trailer because the entire time I've been writing this, our senior producer has been making Wookiee noises (because he's streaming a Star Wars: Episode IX panel). Digital inkblots. 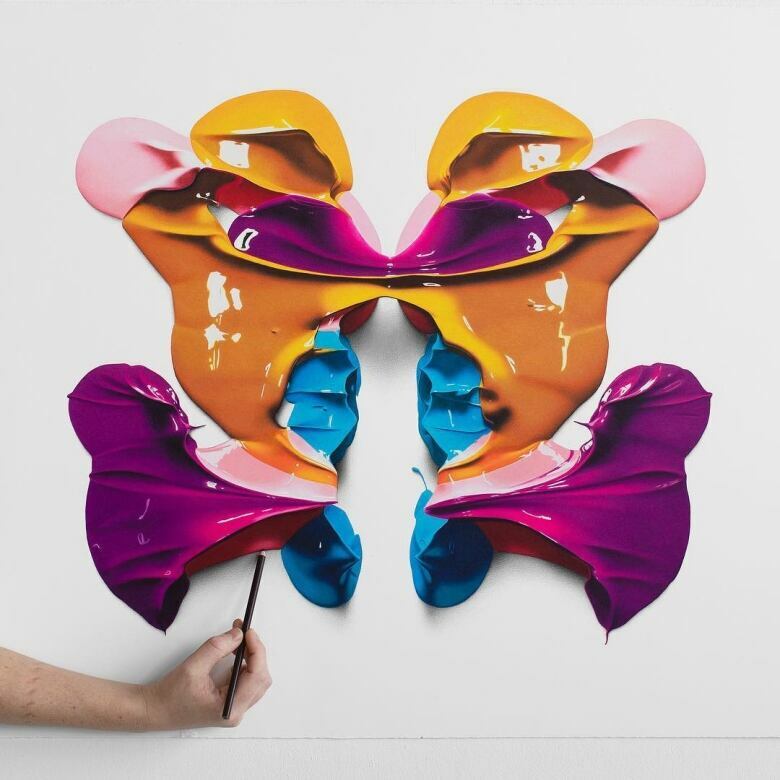 Pencil inkblots. They all look like aliens to me. Golf balls: geodes of the sporting goods aisle! 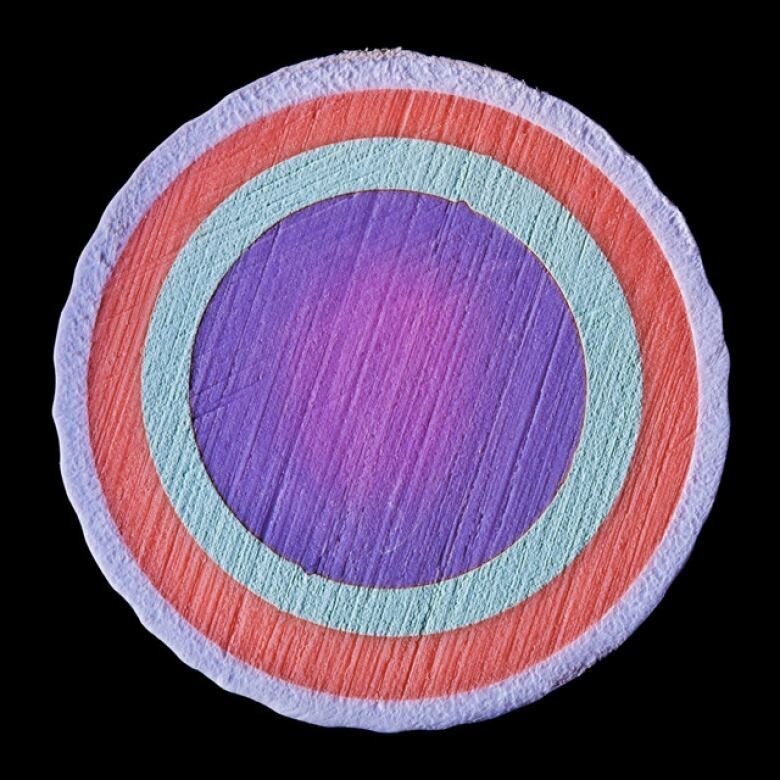 Seriously, though, check out these photos of their unusually surprising (and colourful!) insides. The series, by James Friedman, is called Interior Design. 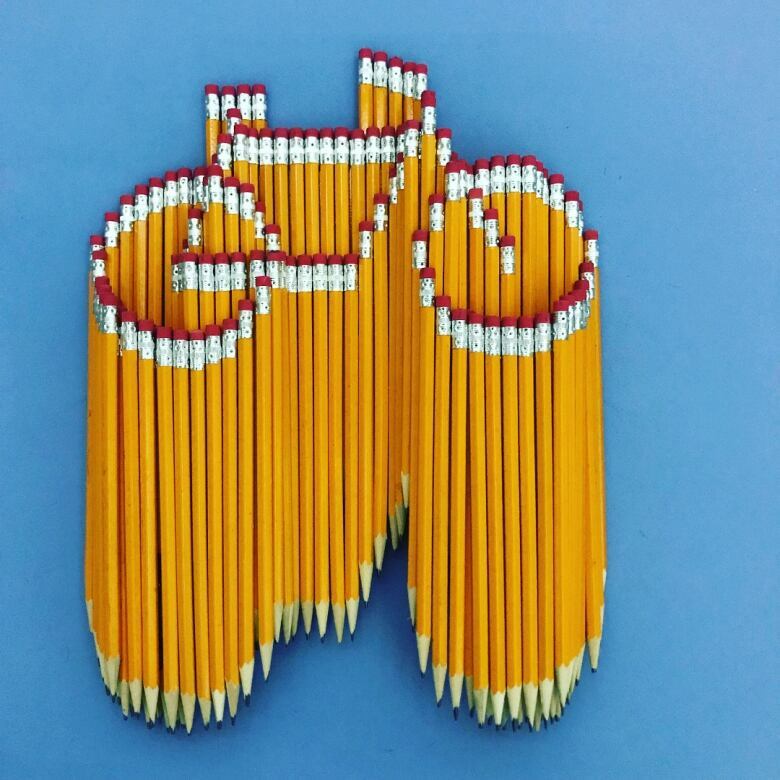 Follow Afghan-Canadian artist Bashir Sultani, then resist the urge to buy 5,000 pencils. Massey Hall field trip with Amanda Parris! 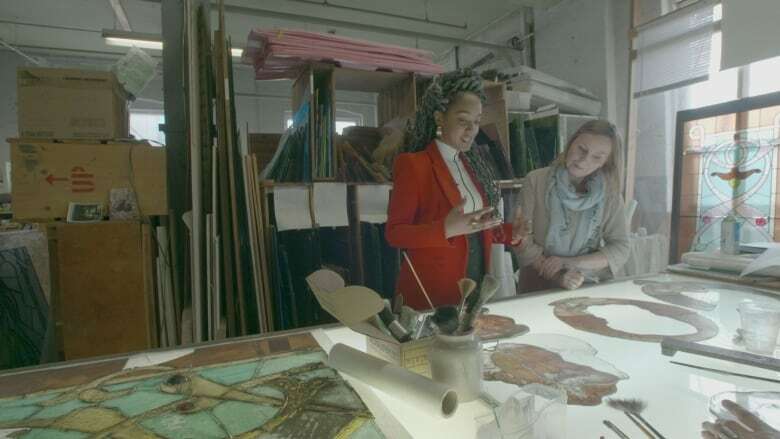 - The host of CBC Arts: Exhibitionists got to spend the day with the restoration team that's bringing Massey Hall's antique stained glass windows back to life. What stained glass windows? Yeah, that's a fair question — especially if you're under 80. They've been hidden since the '50s, but the building features 93 of these colourful masterpieces. Now, as part of Massey Hall's $145 million renovation project, they'll be returned to their former glory. 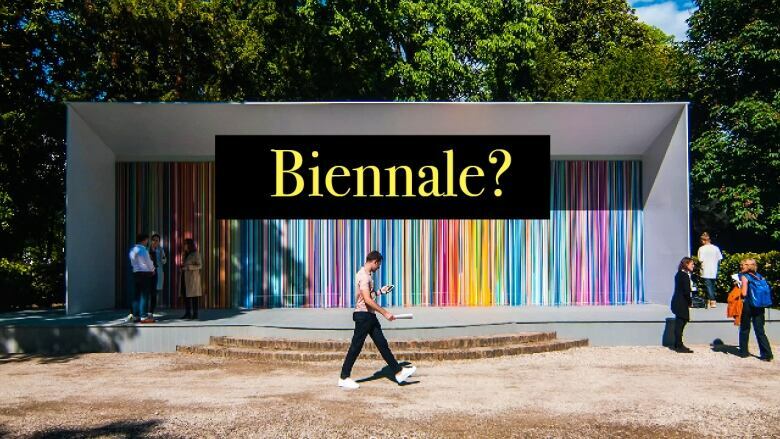 Did you say biennale? - What is that word and what does it mean? (It's Italian, and it just means "every other year.") Why is it a big deal? That one's a question for Professor Lise. And on this week's episode of Art 101, she'll show you why events like the Venice Biennale matter, even if we won't be jet skiing in the canals with Marina Abramović next month or whatever it is that happens there. Mmm... art noodles - Remember Marigold Santos from Art Hurts? 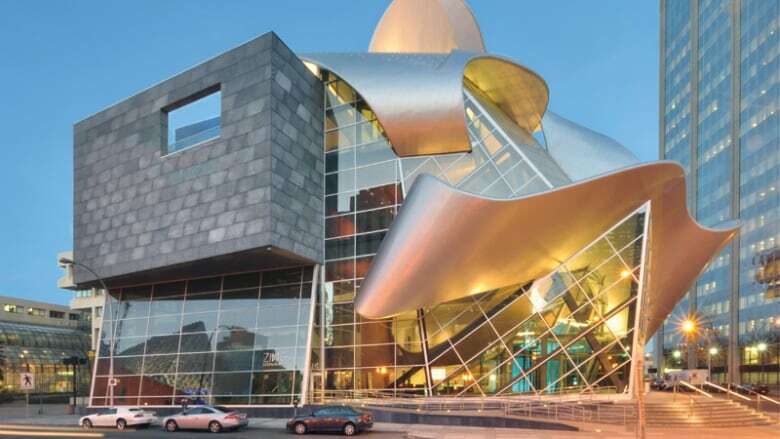 She spends her winters teaching in Edmonton, and one of her all-time favourite places in the city is the Art Gallery of Alberta, a building she fondly describes as a big helping of "metal noodles." Who doesn't love noodles? Or art, for that matter? 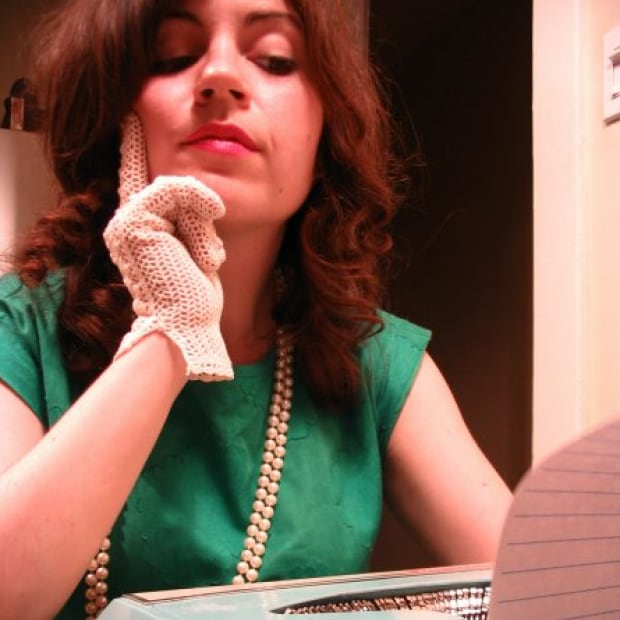 Marigold has plenty of tips for spending a perfect day at the AGA, and you'll want to click for the photos. Once you see the interior, you'll understand why it occasionally pops up in rankings of the world's most beautiful museums. 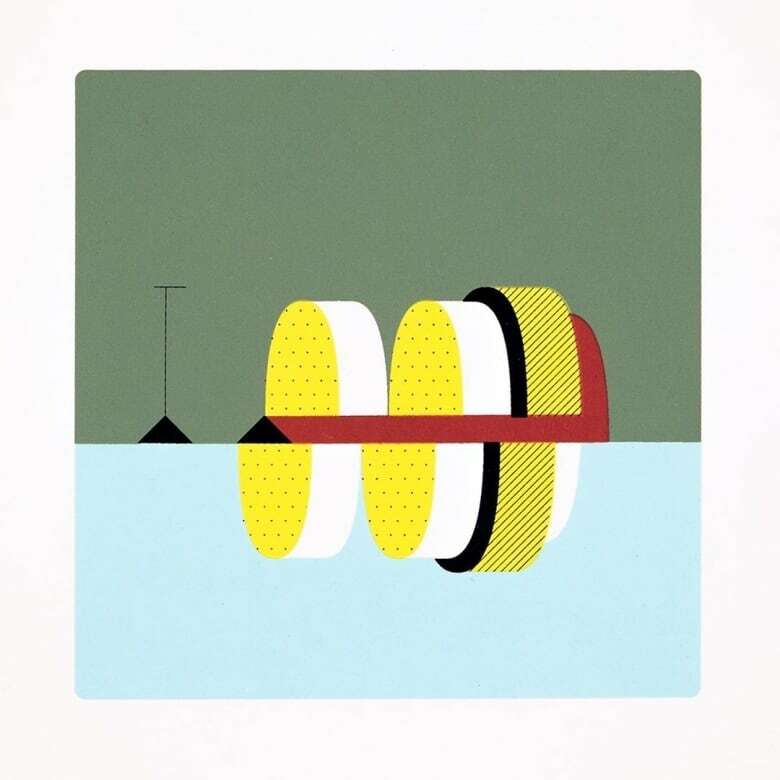 David Trautrimas (@trautrimas) - If you remember this headline about an Avro Arrow test model being discovered in Lake Ontario, David's recent series of screen prints should capture your imagination. The story behind that project is on the site. Got questions? Typo catches? Story ideas? We're just an email away. Send us a note, and we'll do our best to get back to you. And if someone forwarded you this message and you like what you've read, here's where to subscribe for more.